A Balanced, Seriously Delicious meal on the table within 30 minutes! Toss shrimp with cumin, smoked paprika, sea salt and pepper. Heat oil in a large skillet. 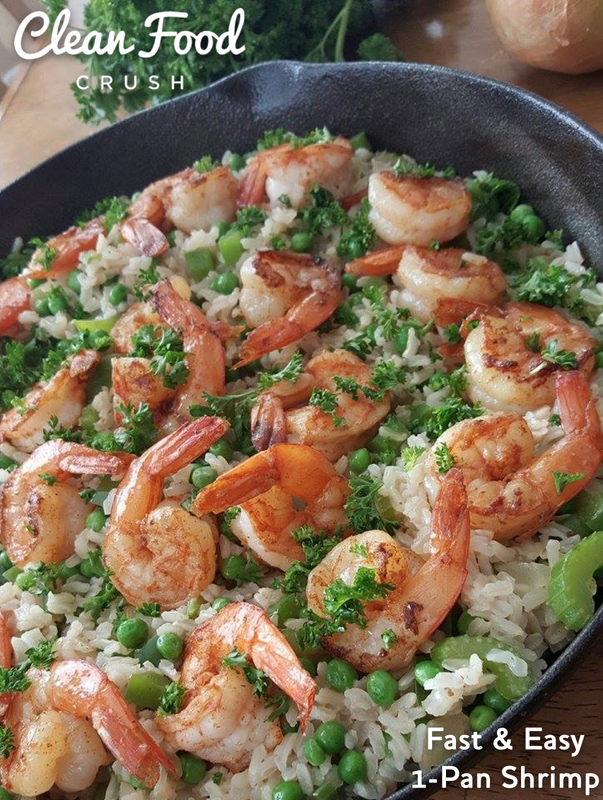 When oil is very hot add shrimp and cook for two minutes on each side, until pink. 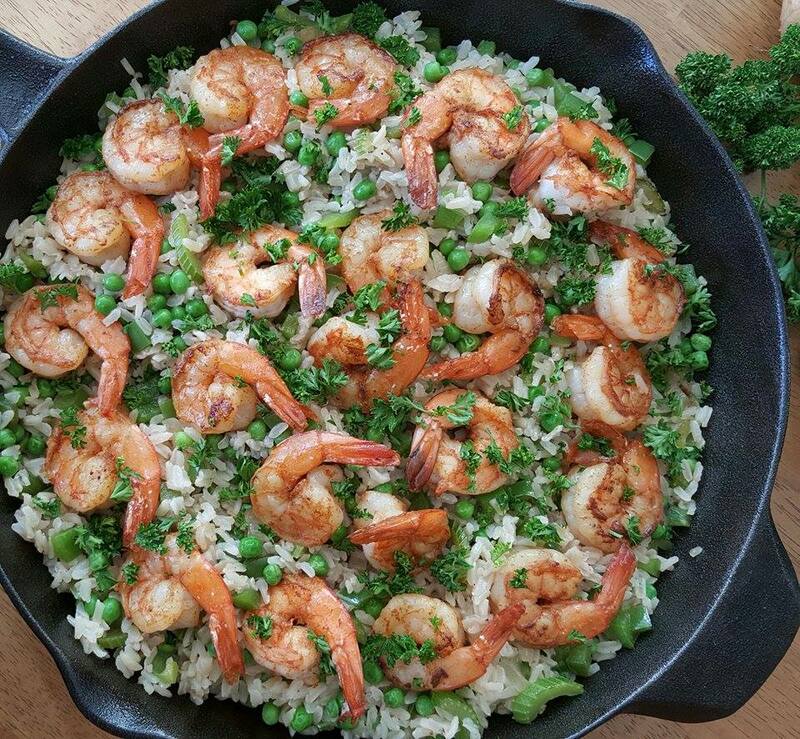 Remove shrimp from skillet and set aside for a minute. Add diced onion, celery, and bell pepper to skillet and saute until onion is translucent. Add garlic for another minute. Add cooked brown rice to the vegetable skillet, & saute for a minute, until hot. Add frozen peas and cook for a couple more minutes until peas are no longer frozen. 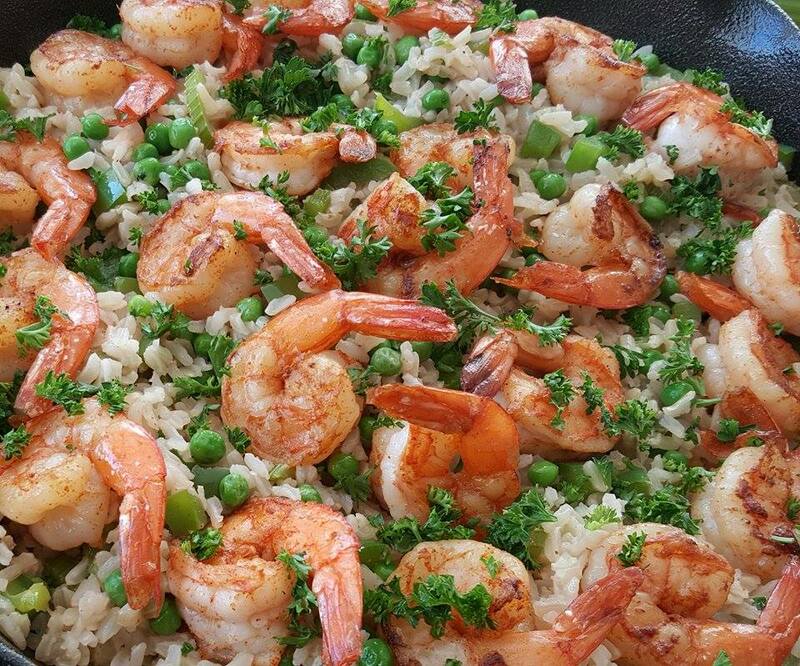 Remove skillet from heat and add shrimp. Garnish with parsley.